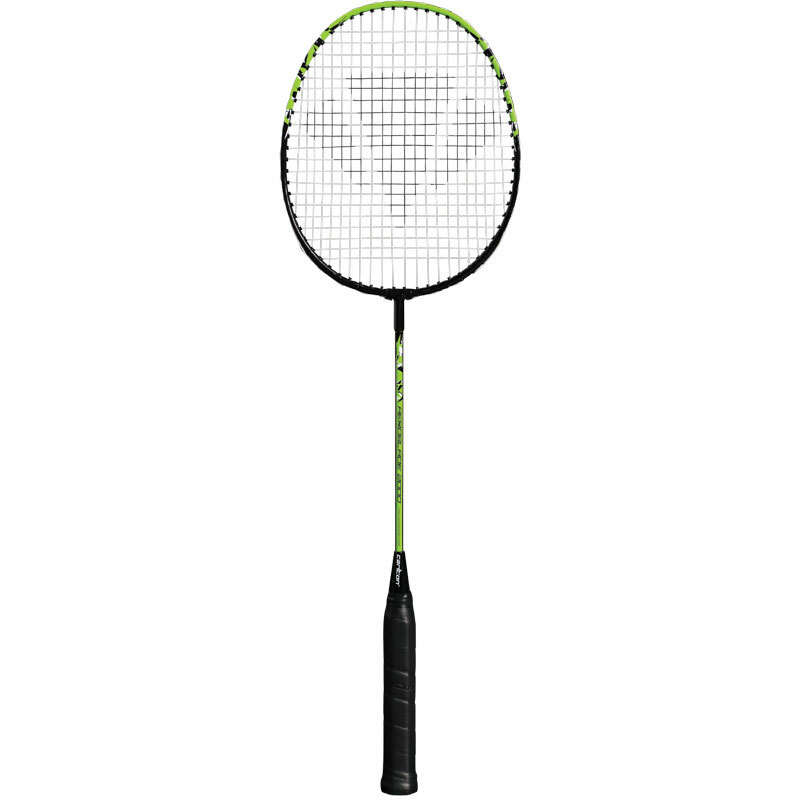 Carlton Aeroblade 2000 Badminton Racket. 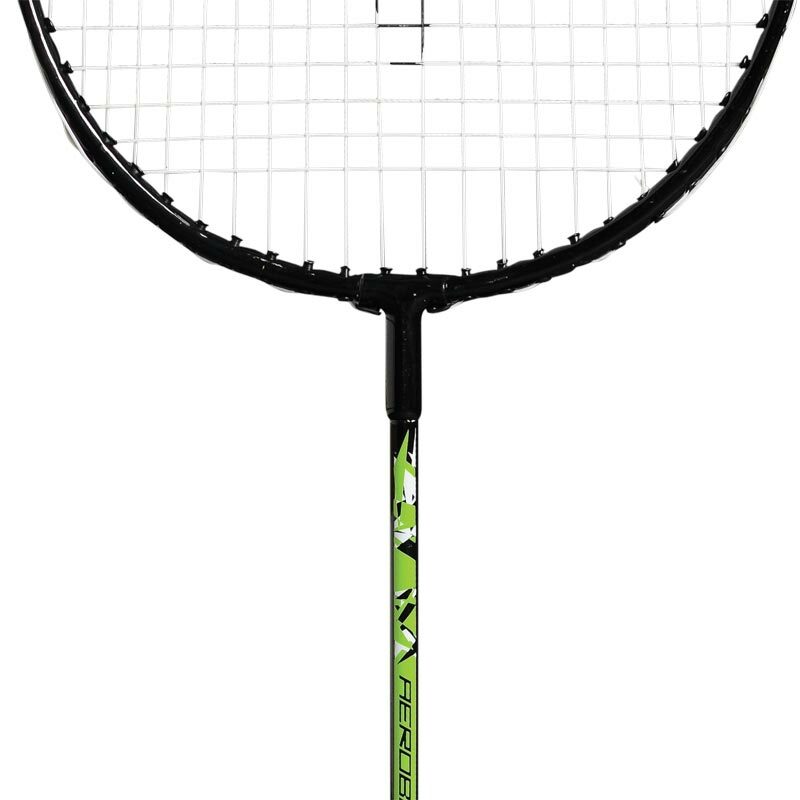 The Aeroblade series is made up of institutional / school rackets that are perfect for beginners and those new to the game who are still developing. They are also slighter shorter than full size rackets. 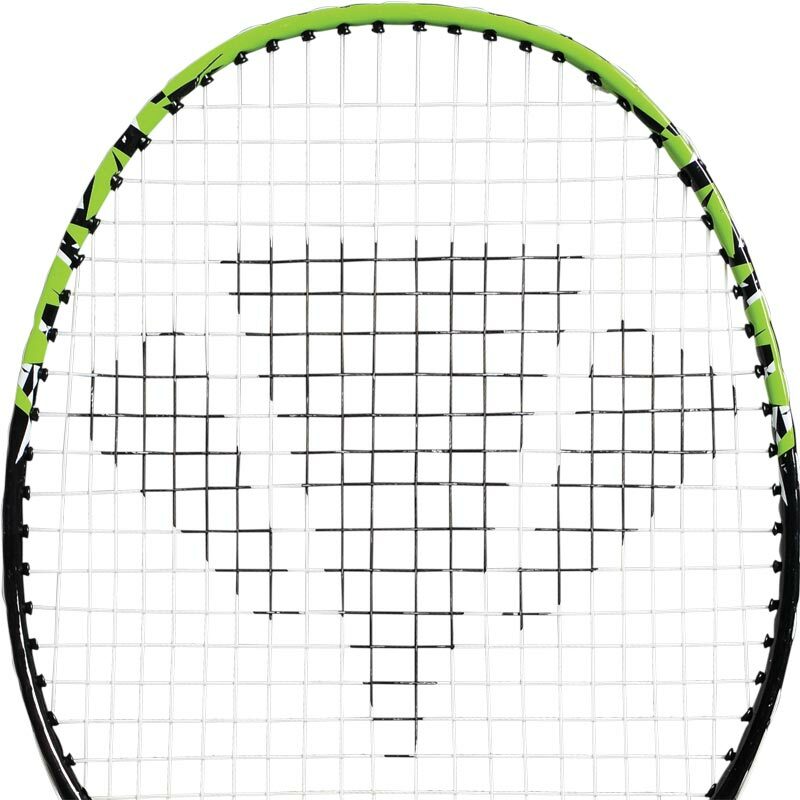 An Isometric head shape increases the main string length, with a larger sweet spot area that generates greater power and ensures a higher percentage of shots are hit with perfect timing.